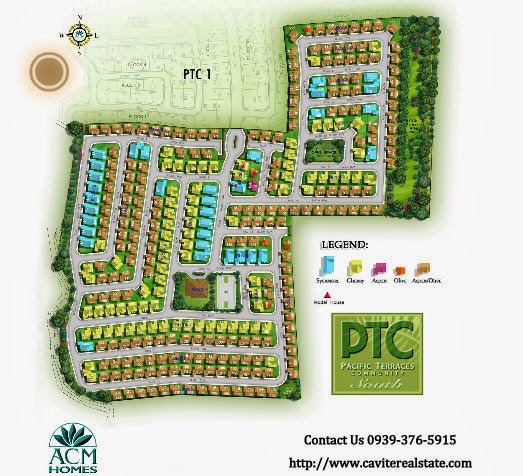 ACM Homes Pacific Terraces Community (PTC) South in Carsadang Bago, Imus, Cavite, one may now experience vast open spaces and green areas. You can enjoy playing basketball court surrounded by grass-covered amphitheater-type steps, flex your green thumb in the greenhouse for edible and ornamental plants, and earn while you learn at livelihood seminars. Use the grass-covered checker board play area for exercise sessions or birthday celebrations and run around the bamboo forest-inspired playground area with steel poles. 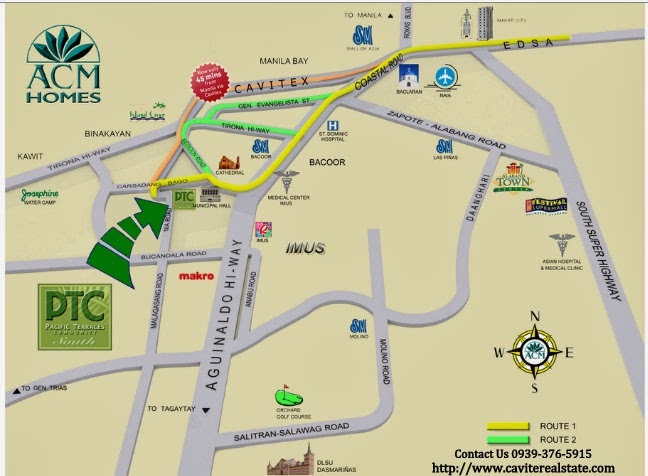 Pacific Terraces Community South "Now, a green community you can call HOME" . Lot Area (sq.m.) 105 sq.m. 185 sq.m. 158 sq.m. Floor Area (sq.m.) 90.7 sq.m. 110 sq.m. 140 sq.m. ACM Homes goes beyond building quality houses. We care about our residents and that is why we build intelligently planned amenities that will transform all subdivisions into living communities. In addition to the usual amenities such as clubhouse, swimming pool, playground, and basketball court, ACM Homes introduces features and activities that create a positive impact to the community's welfare. Greenhouse - Unique feature in the communities, ACM builds greenhouses with "edible landscaping". These greenhouses contain fruits and vegetables which will be harvested and used to start a livelihood project for the residents to sell at the community organic market. Bamboo forest-inspired play area - Create a safe community where you can mingle with your neighbors. Enjoy the greeneries while you unwind in the bamboo forest-inspired park. It can also serve as a multi-purpose area where families can hold parties and celebrate other milestones in life. Outdoor gym - Providing your family with a good life and a future goes beyond providing them with a house. You want your family to live a healthier and more balanced lifestyle. This we can help you achieve through our outdoor gym. No need to pay for hefty gym membership fees. Enjoy the wind and the sun while staying fit and healthy in our outdoor gym. Pacific Terraces Community in Imus, Cavite. ACM Homes has forged a strong partnership with the Philippines Transmarine Carriers, Inc. (PTC), one of the largest crew management companies in the country, to carry out the latter’s corporate social responsibility commitment to “build lives and secure the futures” of seafarers and their families through building affordable, quality homes.